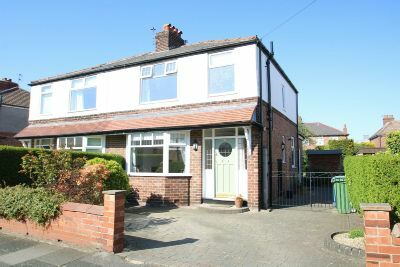 A well proportioned and superbly presented Semi Detached family home, ideally located for Navigation Road School and Metrolink as well as being close to Altrincham Town Centre and all its amenities. The property is arranged over Two Floors and extends to some 879sqft comprising Hall, Lounge, Dining Room and Kitchen to the Ground Floor and Three good Bedrooms and a Family Bathroom to the First Floor. Extremally, to the front there is a Driveway providing off road Parking and to the rear there are larger than average Gardens. Canopied Porch. 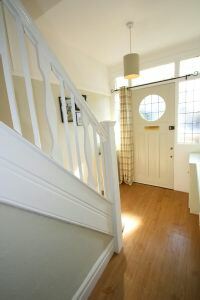 Panelled and glazed door leading to an Entrance Hall with staircase rising to the First Floor. Doors lead to the Ground Floor Living Accommodation. Picture rail surround. Access to useful under stairs storage. Built in meter cupboards. Lounge with uPVC double glazed bay window to the front elevation. To the chimney breast there is a contemporary wall mounted pebble effect fireplace. 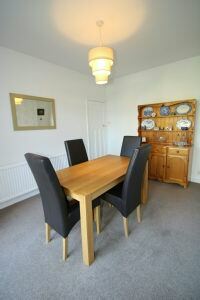 Dining Room with uPVC doors and windows enjoying views over the delightful Gardens and providing access to the same. The Kitchen is fitted with an extensive range of base level units with worktops over, inset into which is a stainless steel sink and drainer unit with mixer tap over. 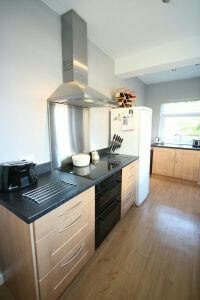 Integrated appliances include a double oven, four ring hob and extractor fan over, washing machine and dishwasher. There is ample space for a fridge freezer. Double glazed uPVC window to both the side and rear elevations enjoying views over the Gardens and a door provides access to the same. Wall mounted gas central heating boiler. 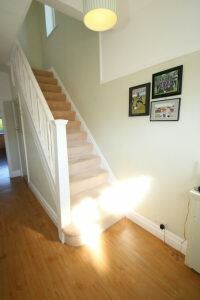 To the First Floor Landing there is access to Three good Bedrooms and a Family Bathroom. 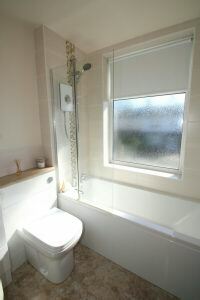 Double glazed uPVC window to the side elevation. Loft access point. Picture rail surround. Bedroom One with uPVC double glazed window to the front elevation. To the chimney breast there is a cast iron fireplace feature. Picture rail surround. Bedroom Two with UPVC double glazed window enjoying views over the Gardens. There are built in wardrobes to either side of the chimney breast recess providing ample hanging and storage space. Picture rail surround. Bedroom Three is a larger than average Single Bedroom with uPVC double glazed window enjoying views over the Gardens. 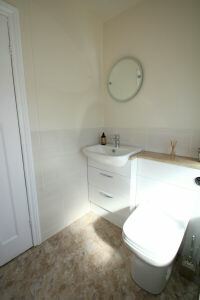 The Bedrooms are served by the Family Bathroom fitted with a contemporary white suite and chrome fittings, comprising a bath with electric shower over, wash hand basin with built in storage and WC. Tiling to the walls. Double glazed uPVC window to the front elevation. Wall mounted chrome finish heated towel rail. Externally, there is a Driveway providing off road Parking and stocked borders with a variety of plants, shrubs and trees retained from the road by way of brick walling. To the rear, there is a patio area adjacent to the back of the house, accessed via the doors from the Dining Room and Kitchen. The Garden beyond is mainly laid to lawn with well stocked borders with a variety of plants, shrubs and trees and is enclosed within timber fencing and hedging.